Having dog in the White House is nothing new. In fact, some may argue that has been a long tradition for the President to have a dog in his house. In the same way we have First Lady and Air Force One, we also have First Pet. Or at least that can be a term we give to the pets that American presidents had. Not all of them had dogs. However, there are some dogs that inevitably changed the way we perceive the American president. And in the wake of Donald Trump becoming a President and waiting for his pet, we remember some of the dogs that lived in the White House. George Washington was the first American President. And he had not one, but several dogs in his home. He had three American Staghounds, Sweetlips, Scentwell, and Vulcan. He was also owner of four black and tan coonhounds, named Drunkard, Taster, Tipsy, and Tipler. However, the most significant dog he owned was Cornwalls, a greyhound named after General Cornwalls, one of the most important officers in the American Civil War. His wife, Martha Washington, on the other hand, had a parrot she kept in the White House. The Lincoln family had a dog named Fido, a yellow mixed-breed dog. Fido accompanied Abraham Lincoln everywhere the president went before he was elected president. Sometimes, the dog carried a parcel from the market. During the celebration when Lincoln was elected president, the dog was frightened by the fireworks. So, they gave the dog to another family, namely to their carpenter. When Lincoln was assassinated, Fido came to the funeral with his new family. During the Civil War, photographers made calling cards out of photographs. Fido was on one such calling card called carte-de-visite. President Theodore Roosevelt had so many dogs. While one of his funniest picture is him riding a moose, Roosevelt was great with dogs as well. The family dogs included Rollo, Sailor Boy, Manchu, Blackjack, Pete, Skip, and many more. Pete was the most famous of them all. Pete was a bull terrier who was famous for nipping ankles of visitors and ripping their pants. Pete was exiled from the White House when he ripped the pants of the French ambassador. Blackjack was also famous, but for another reason. A Manchester terrier, Blackjack was terrified of the family cat. President Wilson did not own many dogs. But he was one of the few people that truly understood the heart of a dog. He once famously said “If a dog will not come to you after having looked you in the face, you should go home and examine your conscience”. Wise words from the President. As for the pets, he was famous for welcoming a U.S. Army dog into the White House. Following World War I, Wilson welcomed home everyone who fought in the war. Sergeant Stubby, a bull terrier serving as a mascot for the army was among the visitors. The family dog was a greyhound named Mountain Boy. In the days before TV, Presidential candidate Herbert Hoover thought that a picture of him and his dog will make him more approachable and personable. And it worked. During his campaign, Hoover posed with his Belgian shepherd dog. The picture was sent around the country. In the picture, Hoover is holding up the paws of King Tut, his dog. And the fun part is the photo worked. Herbert won the elections with a majority of the votes. His dog, known as a police dog, patrolled the perimeter of the White House once Hoover was elected. However, life in the White House was too stressful for King Tut, so Hoover had him sent to quiet home away from the stress. It didn’t help, as the dog died in 1929. President Franklin D. Roosevelt was in the midst of a campaign for his re-election. And in 1944, he accidently left behind his Scottish Terrier Fala, on the Aleutian Islands. He was running for a fourth term, and Fala helped Roosevelt secure the win. Franklin was attacked by Republicans, stating he spend thousands of taxpayers’ dollars by sending a US Navy destroyer to retrieve his little dog. And he used that attack for one of the most famous speeches in his lifetime. 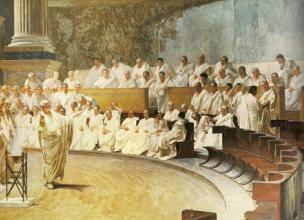 Called the “Fala speech”, Roosevelt opened his presidential campaign in Washington with that one. Orson Welles gave him the idea, as the writer occasionally sent Roosevelt ideas and phrases. Fala was the one to sense the death of President Roosevelt. In the minutes after his death, the dog began snarling and snapping barks. The dog dozed in a corner and stayed there. The dog later attended the funeral of the President, and went to live with Eleanor Roosevelt. 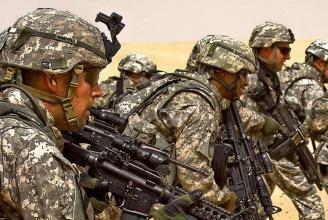 During the Cold War, USA and Russia were in tight relations. But despite everything, presidents of the countries, Nikita Khrushchev and John F. Kennedy wrote to each other regularly. They even exchanged gifts. And as a sign of good intention, the Russian president gave Kennedy a dog called Pushinka. The name is Russian for “fluffy”. But here is where it gets interesting. Pushinka is a descendent of Strelka, one of the first Soviet Space dogs that spent one day in space on Sputnik 2. 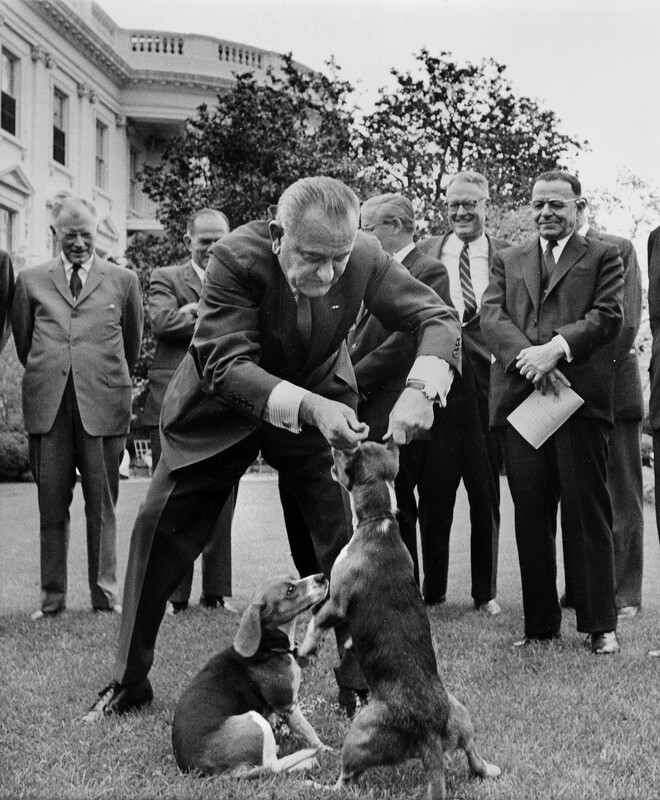 Lyndon Johnson tried to mimic the success of previous candidates that got their picture published with their dogs. Johnson owned two dogs, beagles called Him and Her. And he loved his dogs. But one picture with the dogs is what caught fire and raised the ire of many. During a greeting group visit in the White House lawn, he lifted Him by his ears. Animal rights activists were furious, and many experts believe that picture is the reason Johnson lost the elections. His public image was ruined. George W. Bush is famous for many things, and one of them is his dog Barney and Miss Beazley. Barney was the first Scottish terrier Bush brought into the White House. 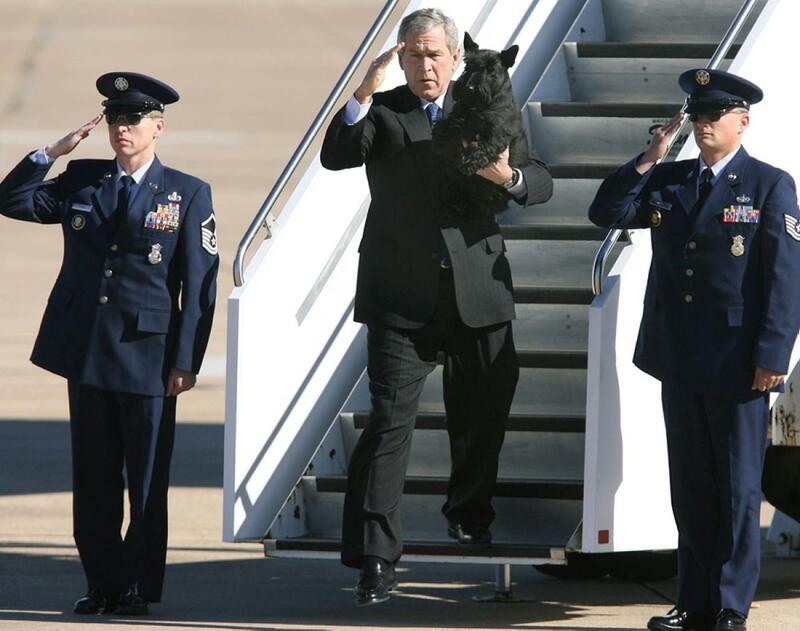 Bush went everywhere with Barney, he even saluted once while holding Barney in his hands. In 2005, he brought another Scottie to the White House, Miss Beazley. The Bush family nicknamed the dog Beazley Weazley, and it was a birthday gift for the First Lady.